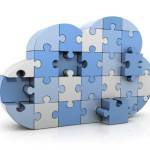 Local cloud and hosting providers increasingly seek alliances with global cloud suppliers. Global cloud suppliers increasingly seek local presence and open up private links to their infrastructure. Data centre providers are the new cloud hubs that bring global and local clouds together. There is plenty going on in Europe at the moment. Global cloud suppliers are investing heavily in building out their infrastructure across the globe and in Europe. We recently reported on the new Amazon cloud in Germany, complementing the existing AWS cloud in Ireland. But there is plenty more activity. IBM’s Softlayer already has cloud facilities in London, Amsterdam, Frankfurt and Paris and is planning to open up more PODs around the region including at least one more in The Netherlands. Microsoft Azure has existing cloud facilities in Amsterdam and Dublin and we expect a German cloud facility to be in the works. VMware is expanding its vCloud Air offering to Germany, complementing its existing UK location. Increasingly, large public clouds are not only accessible through the Internet but also through private links. Amazon can be reached through its Direct Connect, Microsoft through its ExpressRoute, Softlayer through its Direct Link and VMware through its vCloud Air Connect. Data centre providers Telecity Group (Cloud-IX), Equinix (ECX) and InterXion (CloudConnect) are actively positioning themselves as central hubs in the cloud connect game, linking up global with local clouds. August 2014: Dutch cloud computing and IT services provider IS Group signs an agreement with Microsoft to deliver hybrid cloud computing solutions. IS Group is positioning itself as a cloud integrator and orchestrator, helping its customers to manage hybrid IS and Azure intercloud environments. August 2014: Belgian cloud computing and hosting provider Unitt acquires Amazon consulting partner Gimiscale . As a result, Unitt now also offers AWS public cloud services, managed by Unitt. Unitt is also positioning itself as a cloud integrator and orchestrator, helping its customers to manage hybrid Unitt and AWS intercloud environments. November 2014: Dutch incumbent KPN partners with IBM to build value-add cloud services on top of IBM´s Softlayer cloud infrastructure. KPN (IT Solutions) already offered tailored and standard application hosting and its own public cloud offering CloudNL (based on Azure technology). The partnership with IBM complements KPN’s offering with a highly standardized global cloud offering. The above three announcements are only a precursor to a slew of alliance announcements that we expect in 2015. We believe that more local cloud and hosting providers but also other service providers will develop hybrid cloud alliances with global clouds such as Azure, Amazon, Softlayer, VMware vCloud Air, Google, HP Helion and others. Through positioning themselves as cloud integrators and orchestrators they can continue to play an important role for their customers. But hybrid clouds are only an interim stage in the big private to public cloud switch. Longer term, say within three years from now, we expect to see smaller service providers starting to phase out their own private infrastructure. By that time they can no longer compete with the innovation drive and global scale that the larger players offer. Instead they will focus on InterCloud management.